Basics of Market Capitalization in Indian Stock Market. Basics of Market Capitalization in Indian Stock Market. Let’s start this post with a general question. The stock prices of two famous Indian companies are given below. What do you think? Which company is bigger? If you think that MRF is a bigger company as its share price is too big compared to HDFC bank, then you need to read this post completely. You cannot judge the size of the company just by looking at its share price. To understand the answer of the question about which company is bigger, you need to understand the concept of market capitalization. 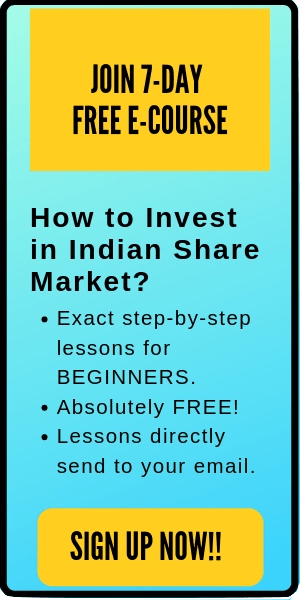 So, be with me for the next 8-10 minute to learn everything about market capitalization in Indian stock market. Classification of companies in Indian stock market. 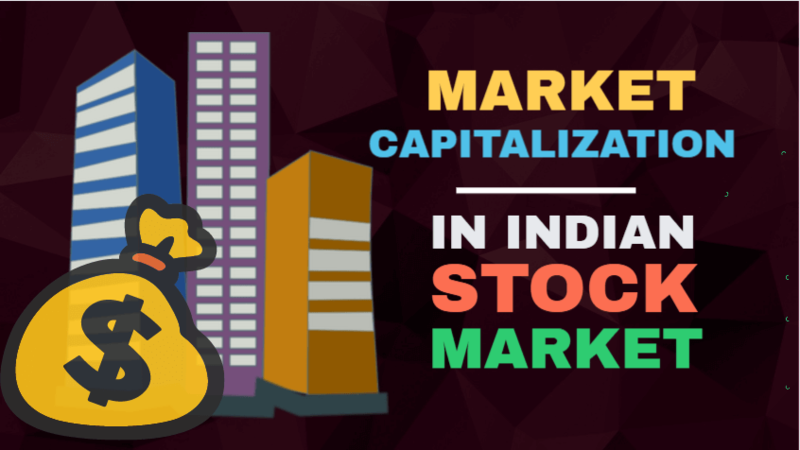 How are companies classified using market capitalization in Indian stock market? How to track the performance of different classifications of companies in Indian Market? What are Blue Chips stocks? Top 10 blue chips companies in Indian stock market. Here cap means capitalization. 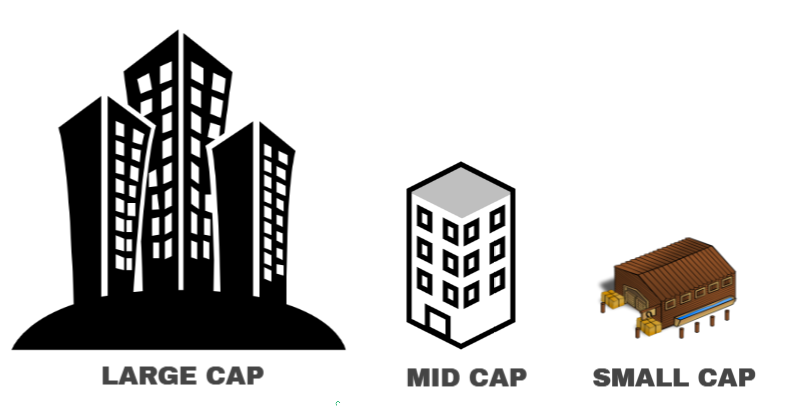 Although there are few other categories also like Mega-cap, Microcap etc, however, they aren’t used much in classifying the stocks. These companies are classified based on their market capitalization, which we are going to discuss next. Market Cap or Market capitalization refers the total market value of a company’s outstanding shares. It is calculated by multiplying a company’s outstanding shares with the current market price of one share. **Outstanding Shares refers to all shares currently owned by stockholders, company officials, and investors in the public domain. Therefore, the market capitalization of company ABC is Rs 15 Crores. Now, let us move back to our original question. Which company is bigger? HDFC Bank or MRF? We need to find the market capitalization of both these companies to figure out which one is bigger. From the above table, we can notice that the market capitalization of HDFC bank is around 15 times that of MRF. Hence, HDFC bank is a much bigger company than MRF. The skyrocketing share price of MRF is insignificant when we compare the total number of outstanding shares of MRF with HDFC bank. In short, the share price cannot decide the size of a company. It’s the market capitalization which is used to classify the companies based on size. There is no hard and fast way rule (criteria) to define the classification of the companies based on the market capitalization. If you refer to different financial websites, the range of market cap will vary for different capitalization. However, in general, here is the commonly accepted classification of companies based on the market capitalization in Indian stock market. Quick Note: The above table is based on the latest circular by SEBI (Dec 2018). Here’s the link to the list of Average Market Capitalization of listed companies during the six months ended 31 December 2018 available on AMFIIndia Website. Why there is no fixed market capitalization range for classifying companies? Bombay stock exchange (BSE) uses the 80-15-5 rule to classify the companies in large cap, mid cap or small cap. Now, let me explain this 80-15-5 rule. The rule classifies the different companies listed on the exchange based on the decreasing order of their market capitalization in Indian stock market. The largest market capitalization which covers up to 80% of the total market cap of all the listed company on the BSE is categorized as large cap company. The next set which covers the 80-95% of the total market capitalization of all the listed company on the BSE is categorized as mid cap company. Lastly, the set which covers 95-100% of all the listed company on the BSE is categorized as small cap company. Since the share price and market caps are dynamic; hence, there is no fixed market cap segment limit for classifying companies. A few years ago, companies with a market capitalization around 10,000 crores- were considered to be large cap company. Now, they are mid cap company for this market cap. Most small cap companies are start-ups or in developing phase. They have a high growth opportunity. However, due to high failure rates of small caps, they also have a high risk. What are large, mid and small cap companies? These represent mid-sized companies that are relatively riskier than large-cap as investment options, yet they are not considered as risky as small-cap companies. These companies have the potential to become a large cap in a few years and have enough finance to survive harsh economic conditions. You can find the list of more mid-cap companies here. These companies have small market capitalization and usually includes the start-ups or companies in the early stage of development. Small cap stocks are potentially big gainers as they are yet to be discovered within the sector. However, the risk level is high while investing in small-cap companies. You can find the list of small-cap companies here. 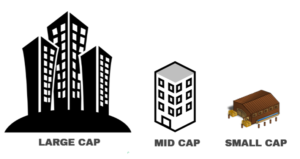 Here is a summary of the large-cap, mid-cap, and small-cap companies. 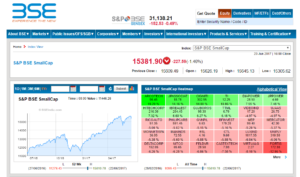 How to track the performance of different classifications of companies in Indian stock market? 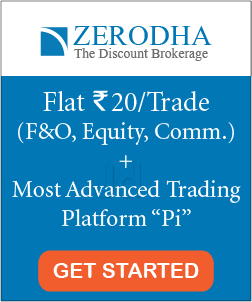 You can track the performance of the companies of different classification of the various financial websites like Money control, BSE India, NSE website etc. 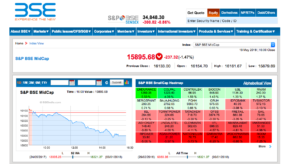 S&P BSE Sensex is used to show the performance of the large-cap companies. S&P BSE Smallcap shows the performance of small-cap companies. Blue chips are the nationally recognized, well established and financially sound companies. Blue chip companies have huge market capitalization and are generally leaders in their market. For example- HDFC bank (leader in the banking sector), Larsen and turbo (leader in the construction sector), TCS (leader in the software company) etc. Few other examples of blue-chip stocks are Reliance Industries, Sun Pharma, State bank of India etc. These companies have stable performance and are very less volatile. That’s why blue-chip stocks are considered safe to invest compared to other companies. Why are they called ‘Blue chip’ stocks? The term ‘Blue chip’ has been derived from ‘Poker’ game. In poker, blue chips are considered to be most valuable. Mr Oliver Gingold, who used to work in Dow Jones, is credited to bring this name in the stock market. He used this name first time in 1923 referring it with few most valuable companies of that time. Later, the term ‘blue chips’ became popular to cite the reputed companies of the stock market. Blue-chip stocks are known to give good consistent dividends to their shareholders. These companies have a huge liquidity, which means that there are a large number of buyers and sellers in these stocks. So, they can be easily bought or sold anytime. Besides all these pros of the Blue chip stocks, there are few cons too. It’s not necessary that these companies will always perform. There are a number of examples of companies which were a blue chip in the past but are not anymore. Although most of them survive harsh economic conditions, nevertheless few blue chips stocks are financially hit hard by recessions and extreme adverse conditions. In addition, as these companies have already achieved great success, therefore a large growth possibility is very less for such stocks. So, it will be very less likely to make quick returns or sharp profit in these stocks. 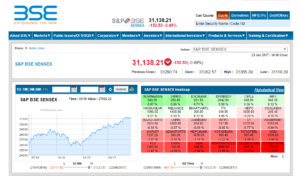 However, the chances of a sharp downfall are also very less in blue-chip stocks. Therefore, they are considered very less risky. Few of the good properties of these stocks are- stability, consistent returns, good financial backup, less volatility and high liquidity. Overall, Blue chip stocks are a good option for a safe long-term investment. Top 10 Blue Chips stocks in Indian stock market. Here is the list of top 10 blue chips stocks in Indian stock market. The selection of a company to invest depends totally on your preference. If you looking for a steady long-term investment, select large-cap companies to invest. On the other hand, if you are looking for high profits and quick returns, then you should invest in small or mid-cap companies. I hope this post ‘Basics of Market Capitalization in Indian Stock Market’ is useful to the readers. Do comment below if you have any doubts or suggestions.